AKIPRESS.COM - Pakistan’s new Prime Minister Imran Khan called on Sunday for the rich to start paying taxes and said the country will begin an austerity drive to reduce debt, a campaign he will kick-start by selling his office’s fleet of bullet-proof cars, Reuters reported. In his first address to the nation as premier, Khan set out his vision for a “New Pakistan” and spoke at length about the need to reshape the country by introducing an Islamic welfare system, reducing poverty and slashing high debt levels. Khan, 65, a former cricket legend, was sworn in as prime minister on Saturday after his party swept to power in last month’s election. A firebrand populist, Khan’s appeal has soared in recent years on the back of his anti-corruption drive, which has resonated with young voters and the expanding middle class in the mainly-Muslim nation of 208 million people. But Khan has inherited a host of problems at home and abroad, including a brewing currency crisis and fraying relations with Pakistan’s historic ally, the United States. 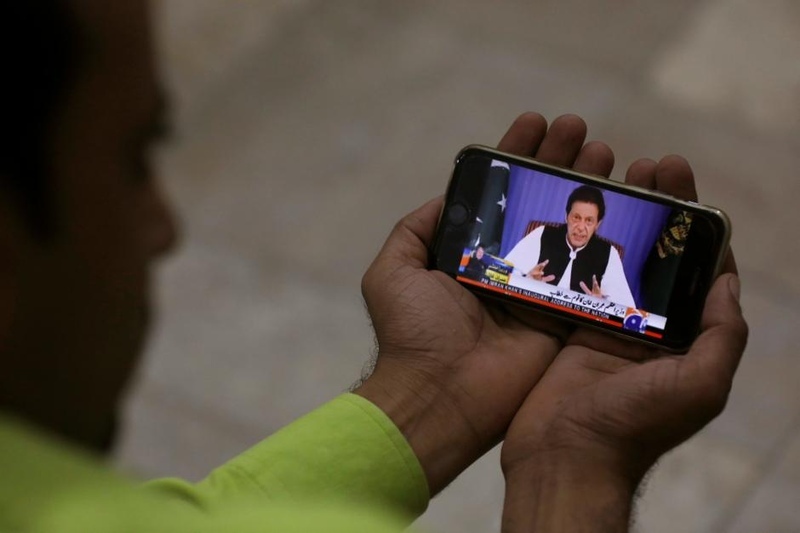 Criticizing what he called the colonial-era mindset and lavish lifestyles of Pakistan’s ruling elite, Khan announced he would live in a small three-bedroom house instead of the palatial prime minister’s residence.